In this social media era, memes are very popular. Anyone can create a meme, and share it among her friends. It might go viral and shared by thousands of people. What is internet meme? An Internet meme, commonly known as just a meme (/miːm/ MEEM), is an activity, concept, catchphrase, or piece of media that spreads, often as mimicry or for humorous purposes, from person to person via the Internet. source: Wikipedia – Internet Meme. Because of its nature, it’s hard to trace who create it first. 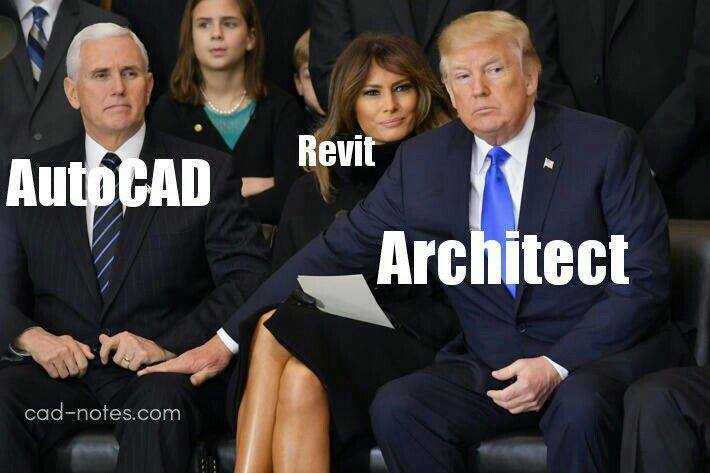 I publish the funniest meme related to CAD, some of them are popular on CADnotes social media channel first. But I found some of them on the internet. Enjoy! And don’t forget to join CADnotes Facebook Page for more meme! 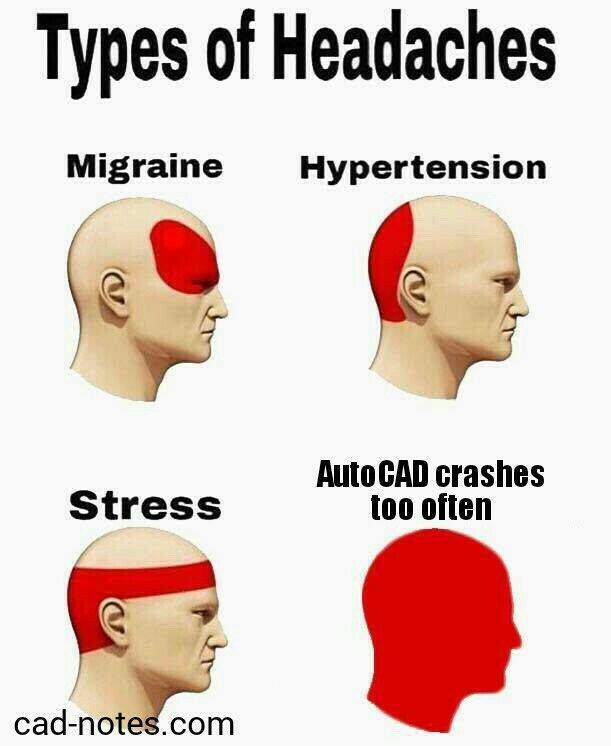 No one likes it when you draw everything on Layer 0 in AutoCAD! 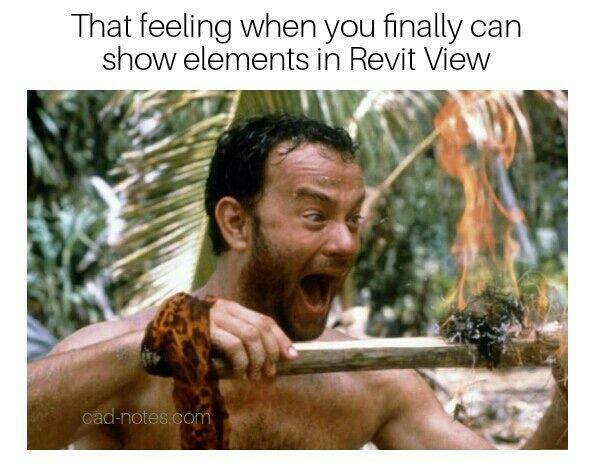 One of the biggest challenge working with Revit it when the element doesn’t show in one particular view! That Headache from Random Crashes! Of course, any software can cause headaches when it crashes! 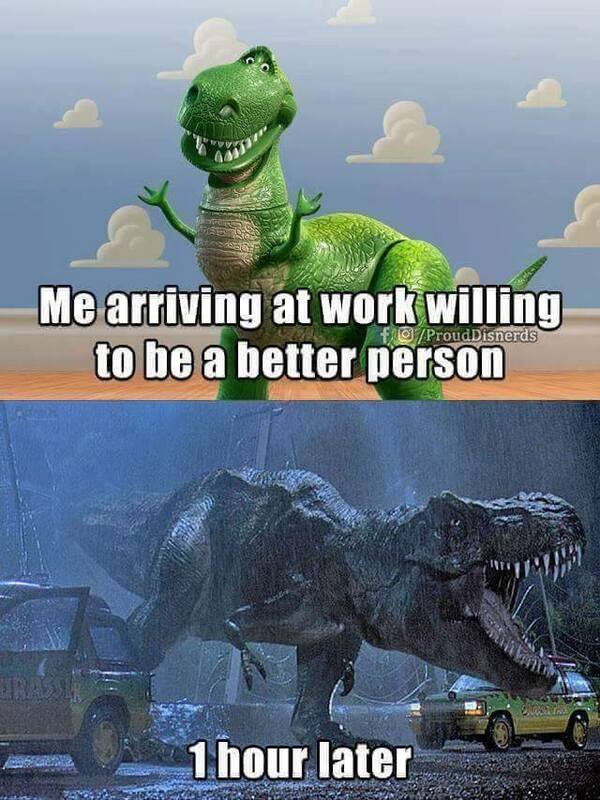 Even it makes a good dinosaur furious! 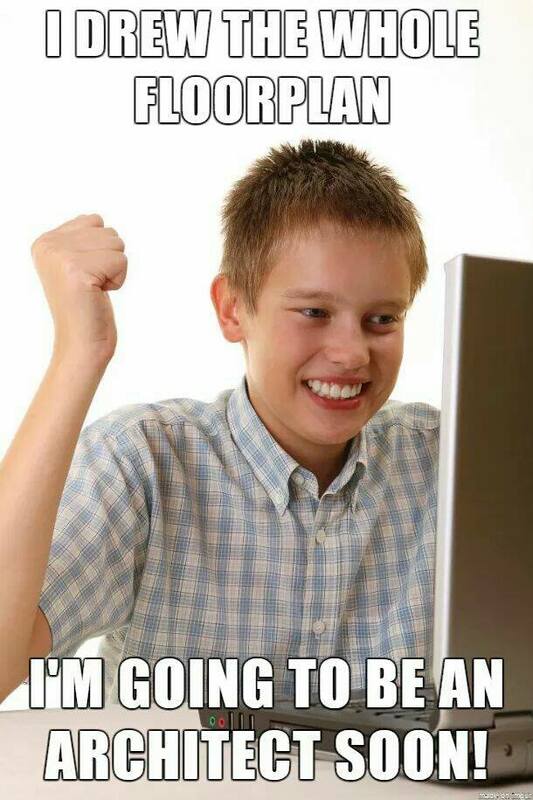 Yeah sure kiddo, you can be an architect after you can use Revit or AutoCAD! And some just think good software can make them a better designer. That software is more interesting! 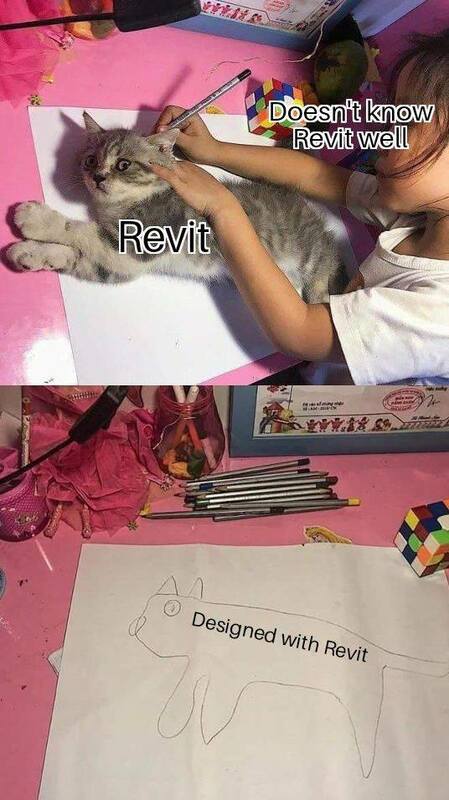 Yeah, when I use AutoCAD, I always want to use Revit! 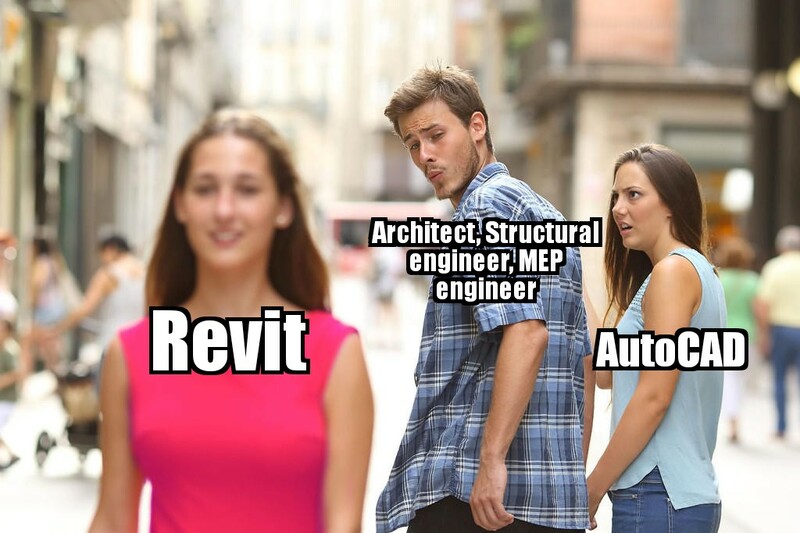 But when I start using Revit, I always want to use AutoCAD back! 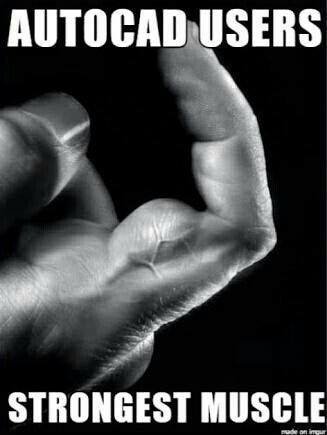 That My Friend, the Most Frequently Used Muscle by AutoCAD Users! I surely can relate the popularity with the number of likes on Facebook, but I want to hear it. Which one do you like most and why? I’m first: I like Dr. 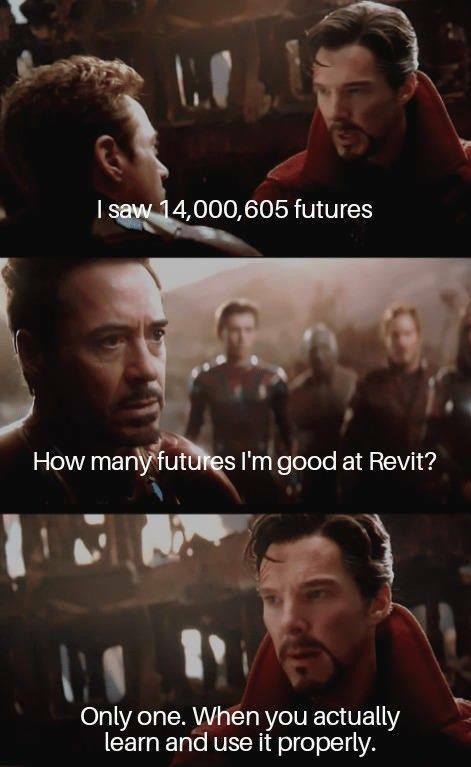 Strange telling that we need to learn and use Revit properly. Too many people think the can master it overnight! Join the discussion…I’ve seen someone draw on layer 0 then change the color and line type of each object!! The same person told me the Erase command no longer worked (I was a wee bit skeptical). So I watched him work and instead of picking from the menu or hitting E on keyboard, he was typing the whole word and he was spelling erase wrong. Training didn’t even help this person. Luckily they didn’t last long here. He needs more than just training! Lol. We all have been there! 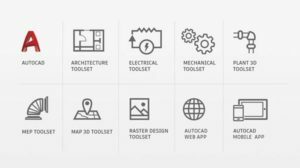 AutoCad plays important role in mechanical engineering, it is a design and analysis software. 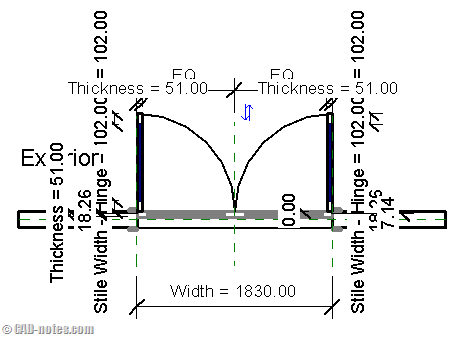 The features given in this blog are good for those who want basic knowledge of mechanical field. Thanks for sharing these tips. 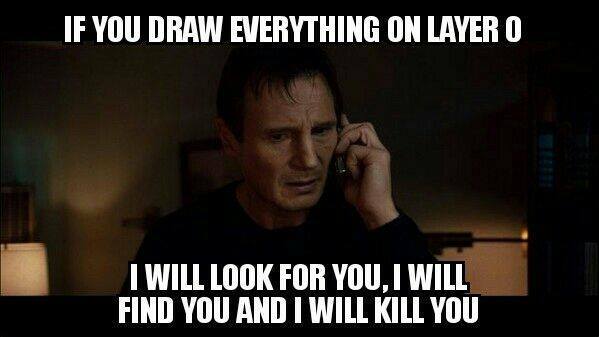 When you draw everything on Layer 0. There needs to be one for exploding dynamic blocks because you don’t want to take the time learn how to use them properly.